About Stanislava K. Message Stanislava K.
Stasia was a fantastic guide...even gave us some great pre/post Ljublana suggestions for things to see and do in the surrounding countryside. She was extremely knowledgeable, very pleasant and just fun to spend time with. Her English was great. Highly recommend her! Staša was a wonderful guide for our visit to Ljubljana! Her command of English was fantastic, as was her knowledge of both history, and random facts about her city. I should also note that she was extraordinarily patient and went above and beyond for us- I was mistaken about the time we agreed to meet the tour, and she waited for us in the hotel lobby for nearly 1 hour. Thank you, Staša! Stanislava was very knowledgeable in Ljubljana's history, architecture and culture, readily answering our many and varied questions. She imparted the information in an interesting manner that made Ljubljana fascinating and exciting. We thoroughly enjoyed our time with Stanislava and would highly recommend her to other travellers. Once again, Toursbylocals has given us a memorable experience. Stasa is an excellent guide. Quite friendly, extremely knowledgeable and with excellent English. We can highly recommend her for all kinds of tours. Staša is an excellent guide, adapting the tour to our interests, very knowledgable and very good communicator. We were very pleased and happy to recommend her with no reservations. Stanislava (Stasha) is an outstanding tour guide. She is extremely knowledgable and interesting, friendly and flexible. We were a mixed party of myself, my sister and my 10-year-old son, and she kept us entertained and informed throughout. Five stars. An absolutely lovely lady whose English is without fault and her knowledge and enthusiasm of the city and country is endless. She paced the day to our guidance and needs perfectly and I would highly recommend her to any group of people. "Like a friend showing you her town!" Stasha is great. She knows her history; she knows her town; and she shares her culture and customs. Stasha is very friendly and it is enjoyable to see her city in her company. She was very knowledgeable about the area. We toured not only Piran but she drove us to Ljubljana, which we found facinating. A great guide for a great city. Staša's enthusiasm for her home town is contagious, and her energy level is remarkable. I really enjoyed combining historical information with culture and a few stops to enjoy uniquely Slovenian food and drink. 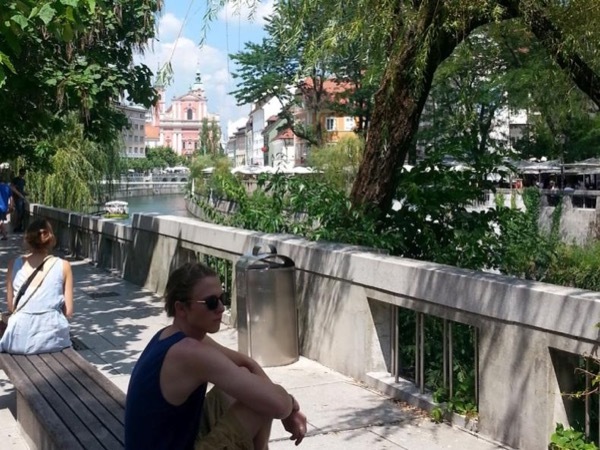 If you are lucky enough to spend some time in Ljubljana, I highly recommend this tour. Staša was an amazing guide. She took us on a beautiful tour and her love of her city was very apparent. She was very willing to take a few detours to show us things that interested us more. She knows the history of Ljibljana and Slovenia extremely well, and shares that with you on her tour. She has so much enthusiasm that you cannot help but love the city by the time you leave. We've taken city tours on different trips, but Staša definitely ranks as one of the best guides.